Government has intervened to address the problem of illegal settlements in Umguza district in Matabeleland North province. A number of illegal settlements have sprouted in the district and this is blamed on land barons or coperatives that are parcelling out land without following laid down procedures. The Minister of Local Government, Public Works and National Housing, Cde July Moyo, has since deployed experts to address the problem. Cde Moyo said Government will not support the construction of houses where there are no services such as water and sewer reticulation. He said some of the suburbs in Umguza were developed without council’s approval hence the lack of requisite services. 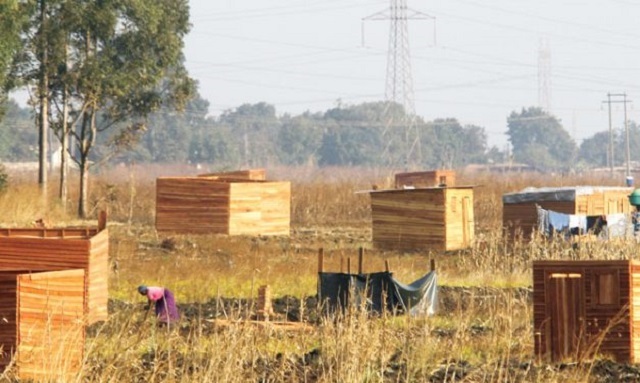 Cde Moyo said there are about 15 land barons or cooperatives not following laid down procedures in Umguza. The Minister said this following a meeting he held recently in Bulawayo with Provincial Affairs Ministers for Bulawayo and Matabeleland North provinces, Cde Angeline Masuku and Cde Cain Mathema respectively as well as chief executive officers of Rural District Councils in Matabeleland North province. “We talked especially about Umguza. There are many settlements which were not properly planned or that the council was not involved in. We have since sent experts that include officials from the Department of Physical Planning, Environment Management Agency and Lands officers to Matabeleland North to deal with the problem,” said Cde Moyo. He said the re-planning of the area will be done in such a way that land seekers will not be affected. “There are about 15 of those unplanned areas that either belong to cooperatives or land barons. We want to make sure that we re-plan so that we don’t disadvantage the home seekers or shelter seekers,” he said. Mbundane and Emthunzini suburbs are among settlements under Umguza district that are yet to be connected to water and sewer reticulation services.